Divisive battles to de-select Labour MPs could end up handing the next election to the Tories, a former shadow cabinet minister has told Jeremy Corbyn. 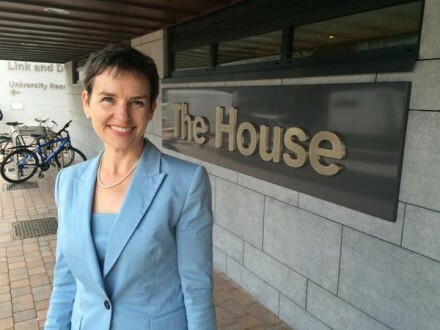 Mary Creagh, the former shadow transport secretary, said Labour had to choose between being an “inward-looking” party or a “mass movement that wins general elections”. She spoke out last night after a fresh wave of claims that supporters of Jeremy Corbyn could attempt to oust dozens of centre-left backbenchers before the next general election, due in 2022. Senior MPs such as Hilary Benn, the former shadow foreign secretary, feature on a “deselection hitlist”, the Sunday Times claimed. Yesterday, however, Creagh, called on the party to come together to fight the Tories. “I have no idea whether this plan exists, whether it’s an aspiration or whether it’s brave talk in the bars,” she said when asked about claims of a plot”. “As a party we have to make up our minds whether we want to be inward-looking, focussed on our own internal party politics, policies and processes, or whether we want to become a mass movement that wins general elections. And I hope it’s the latter because we want to win the general elections and we need to appeal to the country as a whole,” she told the Westminster Hour on BBC Radio 4.